Ok, I was entrusted with the almighty rights to post here and to keep things - well - on target. My words will runneth over from time to time but I know the drill. 2009 is upon us and with that comes many new challenges. Racing Across AMerica comes to mind in June and well, if you're like me...it is the all-consuming thing that fills my thoughts daily. TSH is now moving forward as a 4 person team with a mission to 1. Provide for Camp Odayin and 2. Make the trek across America in style and speed. Our team is a focus driven team of passion and desire - born from many different avenues of life - all for one purpose. I know I speak for the others when I say that I cannot sleep at night sometimes. Our dreams follow our thoughts - be it joy or fear...I must say that I have both types of dreams about this race. I know there will be pain....and underneath it all the joy of the struggle, the joy of the training and the blessing of the fellowship always wins. 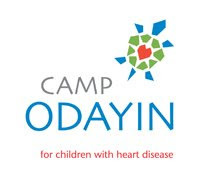 And when we come to Camp Odayin to present our giving nature - the joys of the children will make our journey complete. TSH and Silent Sports Foundation (SSF) have teamed to make 2009 yet another productive year in the lives of children. Contributions to SFF will provide a way for kids to enjoy the simple pleasures of life and will assist us in RAAM and continued exposure for Camp Odayin. We do need your support in donations, sponsorship, volunteerism as a crew members, training and of course prayers along the way. Our team has embarked on an epic saga that will take us to new levels of focus - preparing for what is 6 months from now. It will take countless hours on trainers, changes in our lives, endless hours on the road, planning and preparation - need I say more? We do need your help. If you are looking for a way to help TSH in 2009 or you know of others that feel the need to give - don't hesitate to reach out - we have many things to attend to. So for now....I say thank you for your interest and thank you for being in support. Seeing that the morning comes quickly these days and my bike is waiting to wake me up in the morning - I am signing out.